I'm always looking for bathroom storage, my various lotions and potions seem to keep breeding and my cupboards are now at capacity! I decided to make some simple shelving to organise and display some of my favourite products. 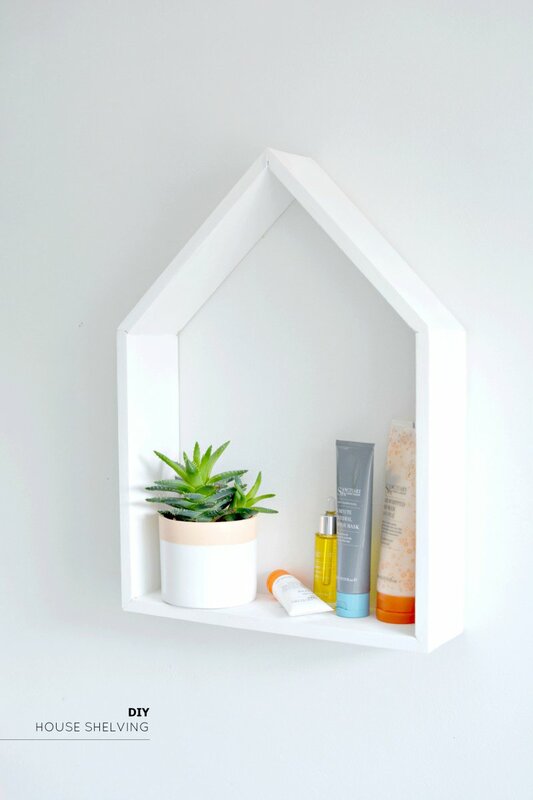 I think this easy house shaped shelving is cute and practical to boot.. who can argue with that? 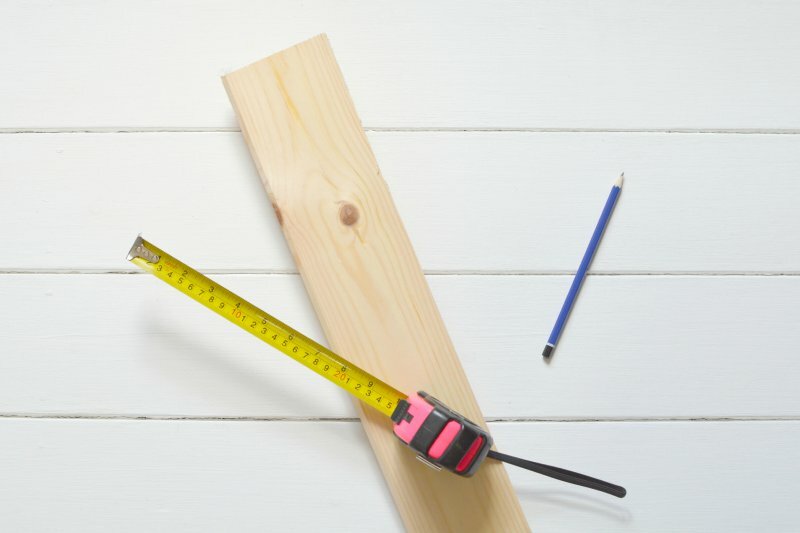 start off by measuring out the lengths you want, mark with a pencil and saw. I cut five 30cm pieces for my shelf. next we want to find the rough angle for the roof joint. 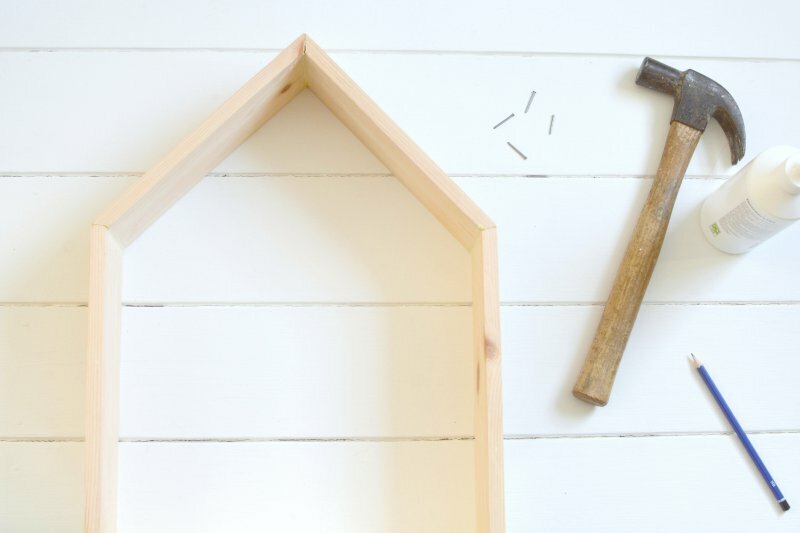 take two of your wood lengths and point them together to make the roof shape (as shown above.) 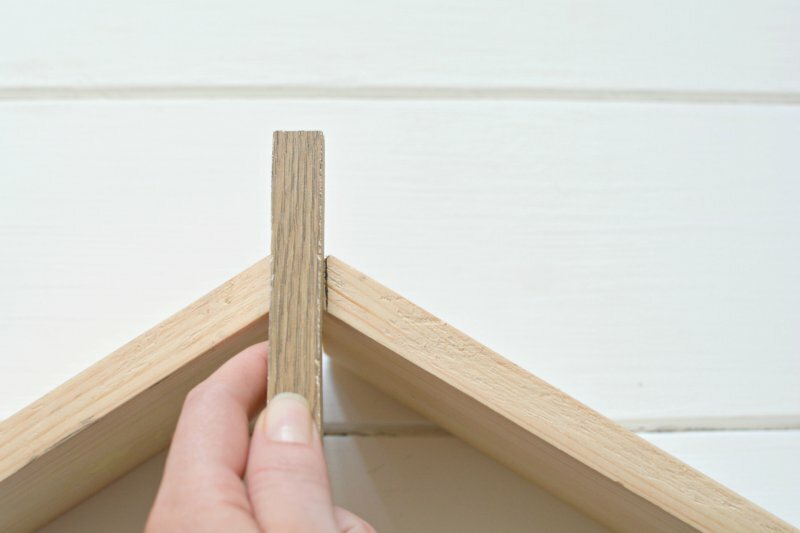 hold a piece of wood over where they meet and draw two lines down each side- this is the angle you cut for a flush fit. if you're not very experienced at cutting grab a handy helper. I find bribery with cakes the easiest way to snag an assistant..
now the fun part- wood glue! glue the 5 pieces together and secure with some small nails/tacks at the corners. once dry you can paint or stain the wood. my bathroom is top to bottom white so I kept the theme going and gave mine a lick of basic emulsion. follow with a quick layer of varnish if needed, leave to dry and your shelf is finished.. hurrah! as you can see my Sanctuary toiletries fit in nicely and are easy to reach when I'm in need of a pampering session. the only issue with leaving them out on display ...james has been stealing them! I'm really pleased with my storage display! 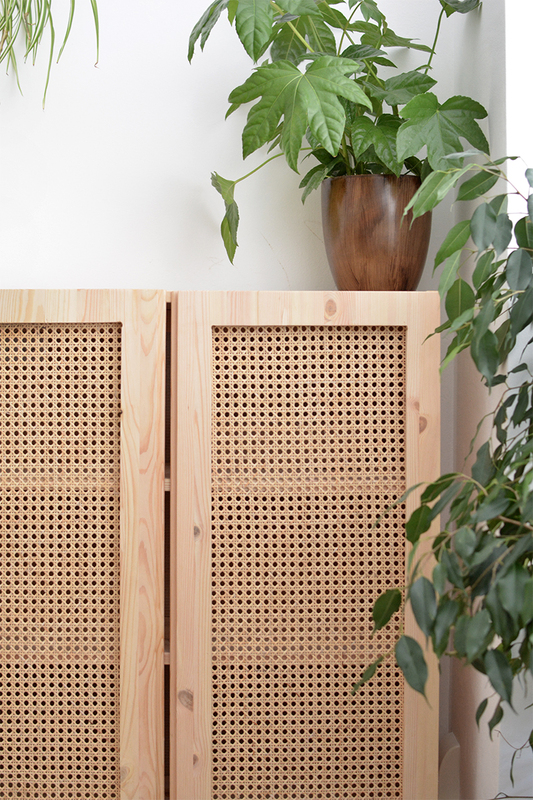 you could add an extra shelf inside (so you can fit in even more goodies) but I think I'll stick with the more minimal look for now..
what do you think.. would you be tempted to make one too? 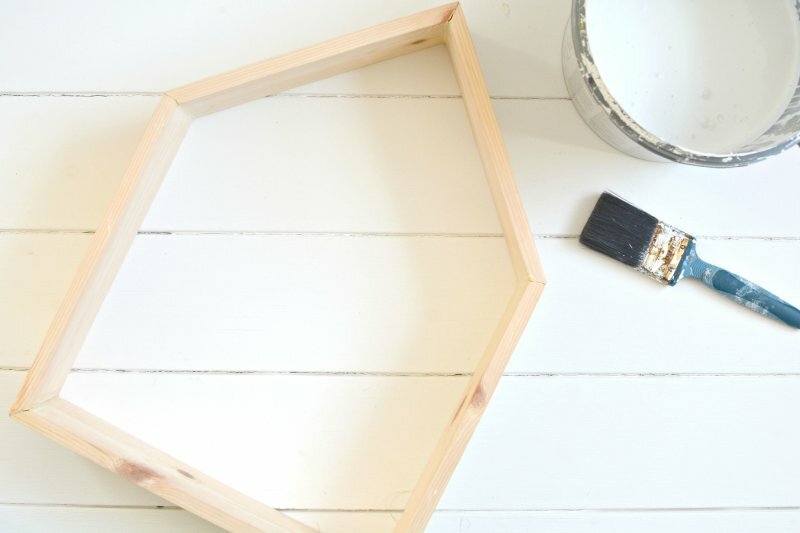 you can find more DIY and upcycling ideas over on Sanctuary Spa here! 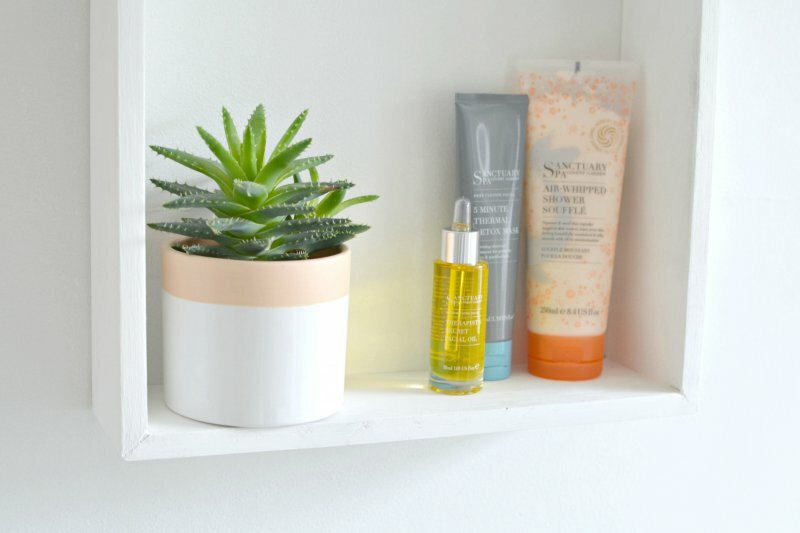 *sponsored post, all love of shelving and shower souffle my own. 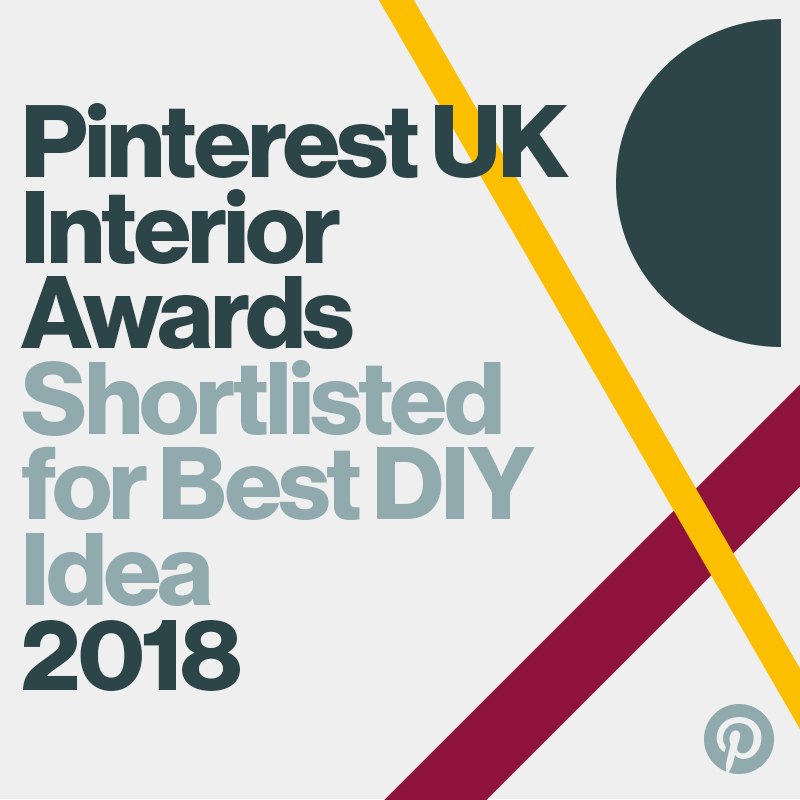 Definitely going to try this, we have zero storage space in our bathroom at the moment! Thanks for sharing. This is super cute. I really love your aesthetic. 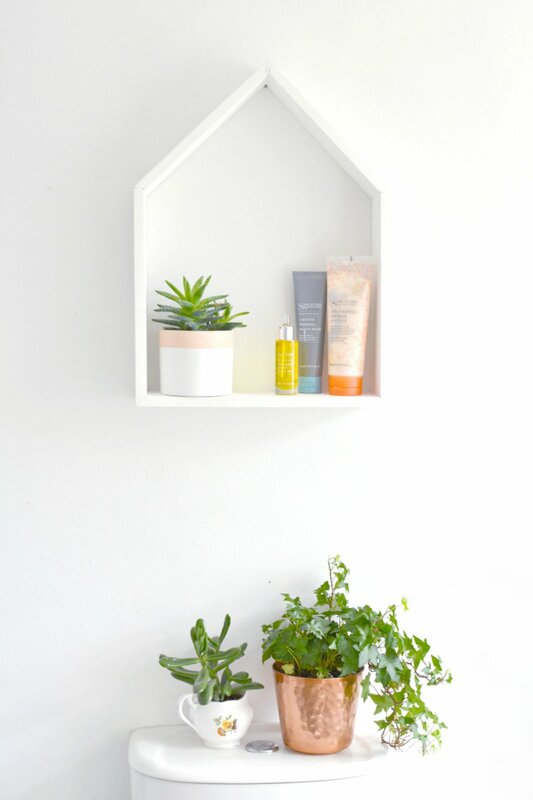 This is so pretty and perfect for housing little things. And your blog aesthetic is on point!